The European Diploma in Musculoskeletal Radiology will be a recognised European qualification for MSK radiologists and will help to standardise training and expertise across Europe. The Diploma is endorsed by the European Society of Radiology (ESR). The Diploma confirms specific competencies a of radiologist can perform, interpret and report radiography, ultrasound, MR imaging (incl. arthro-MR) and CT (incl. arthro-CT) examinations of the musculoskeletal system. In addition, it certifies the skill to perform musculoskeletal system-related interventional procedures. The Diploma represents a recognised qualification in musculoskeletal imaging and will assist its holders in the promotion of their skills and experience when dealing with other clinical colleagues and with the general public/patients. Subspecialisation should take place after the designated time for radiology residency. In exceptional cases, partial Subspecialisation may already start within the years of differentiation (E.g. UK / NL). Radiology Residency should preferably last no less than five years. For candidates with less than five years of training only: Proof of experience as a supervised staff radiologist is required. At least two years of subspecialty training are required. Maximum one year of subspecialty training can be done before board certification. The level of knowledge requested from candidates has to correspond to the curricular contents for full subspecialisation in the field of radiology provided by the ESR European Training Curriculum for Subspecialisation in Radiology (Level III). The examination is only open to fully-trained, licensed, and practicing radiologists. *Imaging of the axial skeleton doesn’t characterize the activity of musculoskeletal radiologists in many countries across EU. RIS documentation or logbook with a total record of the candidate’s experience in musculoskeletal radiology countersigned by the candidate’s programme director. A letter of support from the programme director or department head. *MSK events recognized by the ESSR will be marked as such in the online ESSR congress calendar on the website and in its social media channels. 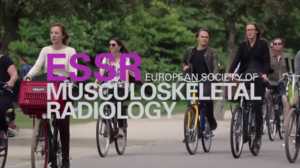 Besides others, such events include ESSR Subcommittee Events, European Congress of Radiology, International Meeting of the Skeletal Society, European School of Radiology, and annual meetings of national radiological and/or musculoskeletal societies. Once met these requirements, the candidate can apply for the diploma and will undergo a final examination at the annual ESSR or ECR Congresses. Once met the eligibility criteria, the candidate can apply for the diploma and will undergo a final examination at the annual ESSR or ECR Congresses according to the ESR rules. Please note: an active registration for the respective congress is required to attend the examination. Only a limited number of candidates can be accepted for the examination at each meeting. Applications will be accepted on a first come, first served basis – date of receipt of application form! Early application is therefore recommended. The examination takes place twice a year, once at the ESSR congress and once during ECR. The examination will be performed with up-to-date technical and educational tools. The examination consists of written and oral components, both contributing 50% of the total score for the exam. Both parts of the examination (oral and written) have to be passed. After the examination, an examiners meeting will be held. At this meeting, the results of both components of the exam will be added together to produce a total score for the examination for each candidate. • Examiners will test the candidate discussing cases at the workstation in a maximum of 20 min long session. • The exam will be held in English. Each candidate will be examined by ESSR representatives. ESSR examiners are appointed by the Executive Committee of the ESSR. In case a candidate did not pass the European Diploma in Musculoskeletal Radiology he/she has the possibility to retake the examination one year later. A reduced fee of € 200.00 will be granted for a re-examination for member in good standing. The ESSR Diploma certification has 5 years validity. No written/oral exam will be required for renewal. A renewal fee of EUR 30,- will be charged. Successful candidates will be awarded the European Diploma in Musculoskeletal Radiology. 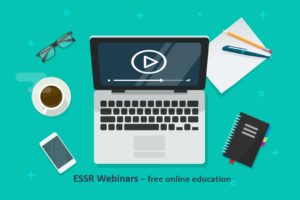 Do you want to apply for the ESSR Diploma? From this link [document #1] you can download the pdf file with the 40 multiple-choice questions that the examination board has used in the last session of the ESSR Diploma. At the end of your self-test, you can check your performance by downloading the correct answers from this link [document #2] . As a rule, candidates are required to give at least 70% (28/40 questions) correct answers to pass the written part of the exam. During the oral part of the exam, candidates are required to discuss relevant imaging findings and make the diagnosis. Here you can find a few images of the case that was under discussion in the last session of the ESSR Diploma. The case refers to a 45 year-old woman with recent onset of right anterolateral hip pain. Which is the diagnosis?